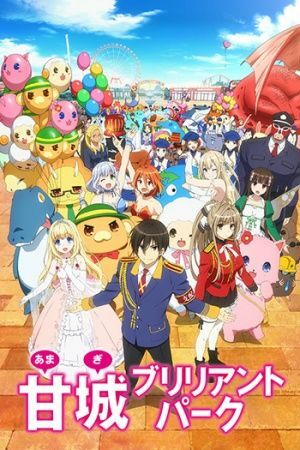 Kanie Seiya, a smart and extremely narcissistic high school student, believes that the beautiful but reserved Sento Isuzu has invited him on a date at an amusement park called Amagi Brilliant Park. Much to his chagrin, not only is the location a run-down facility, the supposed date is merely a recruitment tour where Sento and Princess Latifa Fleuranza, the owner of the theme park, ask him to become the park's new manager. Their cause for desperation? As stipulated in a land-use contract, Amagi has less than three months to meet a quota of 500,000 guests, or the park will be closed for good and the land redeveloped by a greedy real-estate company.